BGSS team, wearing dark stripe jersey in 1965 at BDC Padang, Bintulu. In the year 1965, a footballer I became. Football has been my favourite game since primary school in the early 60's. When I continued my schooling at BGSS or Bintulu Government Secondary School I became the captain of its junior soccer team. In 1965 while at Form Two B, our soccer team won the final match in the Junior Soccer Championship held to promote the game of football among the primary schools and BGSS, the only secondary school then at Bintulu. ( see top picture) My interest in football grew with the times and I continued with the game while I was a teacher in 1975 - 1977. It was in the early 90's that I became the President of the the Bintulu Football Association (BIFA) which was affiliated with the Sarawak State Football Association. A major achievement while heading BIFA was when the full BIFA Under 21 team was selected to represent Sarawak to compete in Kuala Lumpur. 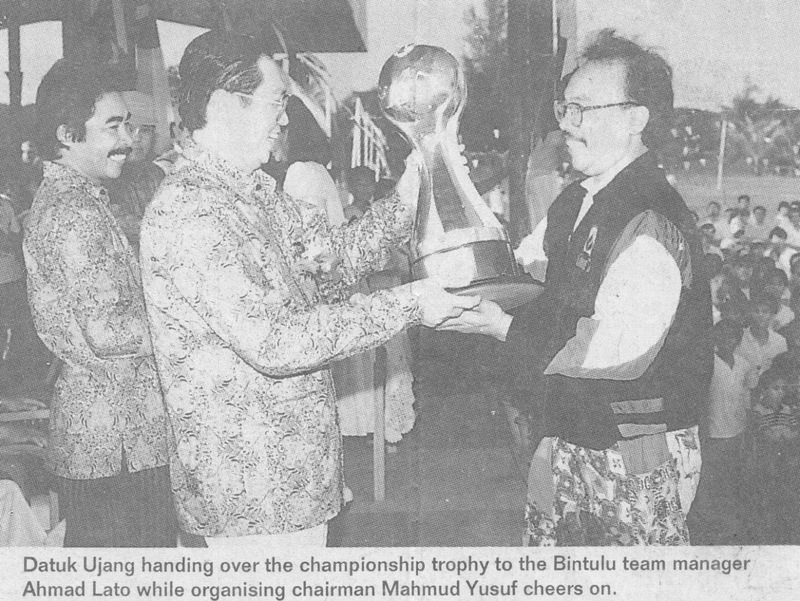 In October 1992, I was the organising chairman of the Sarawak State level "Sarawak Cup" held at the Bintulu Civic Centre. The BIFA senior team won the prestigious championship title. It was one of my proudest moments as a footballer and the President of Bintulu Football Association. To be a President of a football club is basically a volunteer job. There's no salary to the post. For the five years I headed the Bintulu football association I was assisted by very cooperative and hard working officials, members, coaches, referees, and team managers. 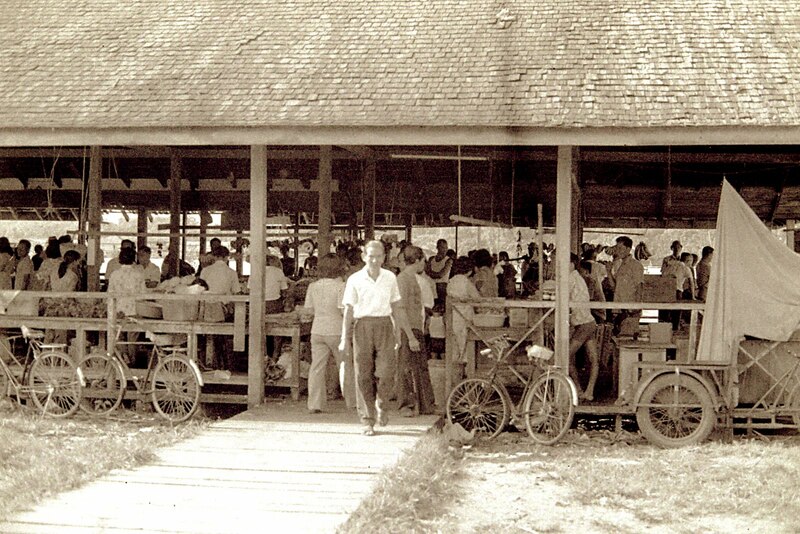 The Bintulu public especially the business sector was very responsive to our fund raising activities. At the time when I decided to handover the Presidency to new blood, I left the association with a healthy balance of about RM 50,000 in its banking account. I thought that was the best thing I could do to the association which courted me to become its president in order to revive it just months before it was about to be de-registered by the Registrar of Societies. Well, that is all history now. 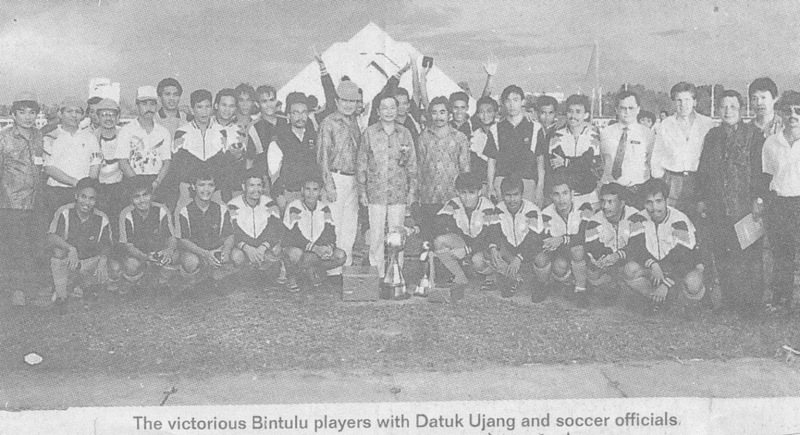 During my time, Bintulu footballers were a much respected lot, and I felt great to be its President. I guess it was those secondary school days as a footballer that made me love the game and the passion to lead Bintulu football to state and national level in later chapters of my life. 1979 - group photo with teachers and invited players . I am sixth at the back row standing. Picture taken at the SMK Bintulu football field.